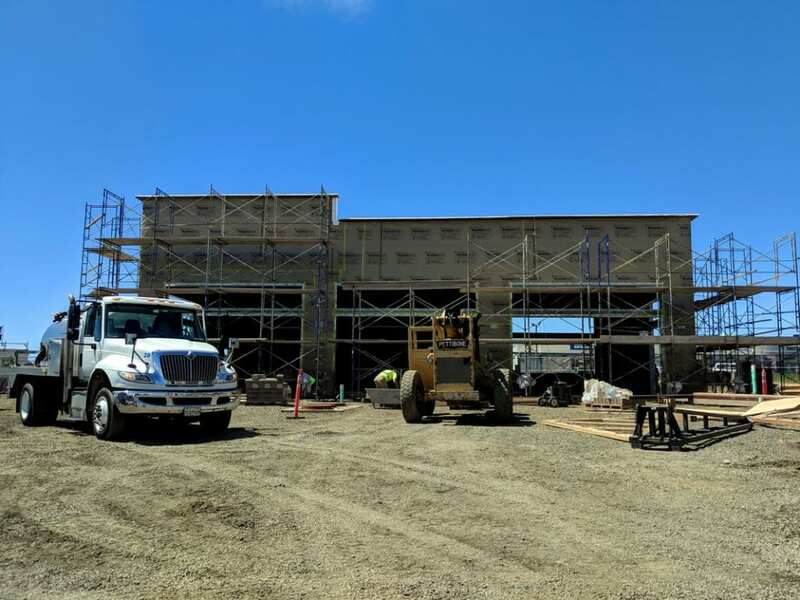 Nearing completion is the Cedar Creek Plaza in Sherwood, OR. Deacon Develop sent us some aerial photos of the site. Newport Goodwill is now open for business in Newport, Oregon. We worked with Baysinger Partners Architecture on the project and LGC Pence. Below are the construction phase photos by Emily Toner. Based on new test data various regions have been revised. The new factor, “adjust the velocity pressure to account for the reduced mass density of air as height above sea level increases” (July 2018 Structure Magazine). Most of our work at Lewis & Van Vleet, Inc (LVVI) has been in and around the Willamette Valley, therefore the Ke factor is 1.00. Some of our work has been in Bend, OR which has an elevation of 3,623 feet. In that region the wind would get reduced by a factor of approximately 0.86. The ASCE 7-10 limited rooftop equipment to a mean roof height to h < 60 feet. ASCE 7-16 has eliminated this limitation thus making it acceptable for buildings for all heights. It should be noted that if an office building is designed for Risk Category II, but the equipment on the roof also serves a facility next door that is a Risk Category IV, then the equipment is design for Risk Category IV. The past Standard did not have a provision specific to solar panels on roof. The new ASCE 7-16 Standard now provides guidance to the design of wind effects on solar panels. They have provided two methods for design – 1. low-sloped roofs (slope < 7 degrees) and 2. any roof slope. For h < 60 feet – Roof Pressure Coefficients and Attached Canopies round out the new and revised provisions. Safety and reliability has been improved with these new provisions. The engineer will need to assess their previous design methods and adopt those set forth in the upcoming Standard. 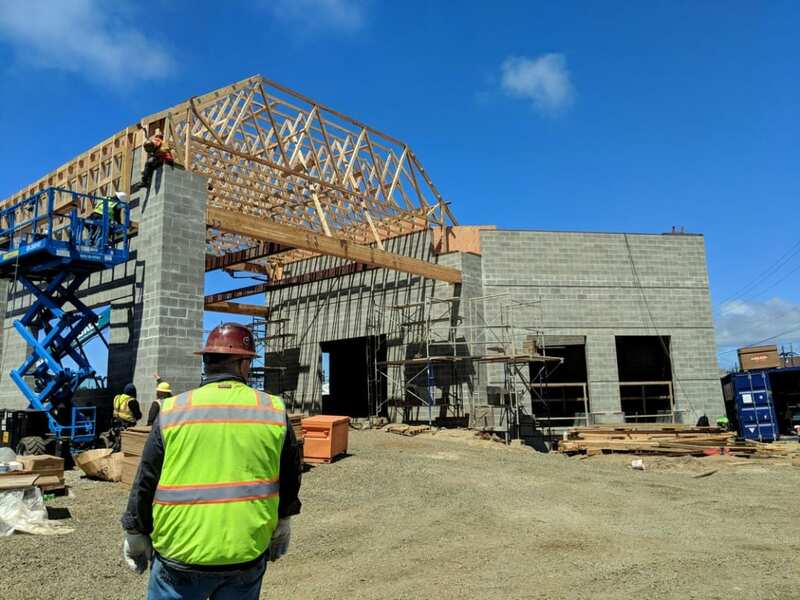 Current construction project in Salem, OR. with Lenity Architecture. Information regarding the project can be found on Lenity’s website (Livingstone Academy). “St. Charles Family Care in La Pine will serve the community of La Pine and nearby underserved communities, including Sunriver, Gilchrist, Crescent, Chiloquin, Chemult, Christmas Valley, Silver Lake and Fort Rock. Along with expanding services, the clinic will provide a medical home for the region that coordinates care throughout St. Charles Health System with the central point of access — primary care physicians — close to home. Completed. The Powell Apartments on SE 37th and Powell in Portland, Oregon. A three story multi-family complex of all wood construction. One of the unique features was trying to install the wood press plate trusses over power lines. We worked on the project with WDC and Studio 3 Architecture. Latest blog regarding bleacher safety. The architect for the project is Novak Architecture. Current project under construction in the Salem area, Claxter Apartments. Architect for the project is Studio 3 Architecture and the GC is MC Northwest. The St. Charles Family Care will open soon in La Pine, Oregon. It is a project that we worked on with Clark/Kjos Architects. They have provided some of the construction pictures that we have previously posted. General contractor is/was Sunwest Builders. Mike Daily, main contributing editor of this blog, as well as other key staff members.